Welcome back, my friends, to the show that ends only while life gets in the way...let's see if we can get the ball rolling and keep it going for more than a post every 6 months, yeah? And I'm starting with a post about the Hulk. 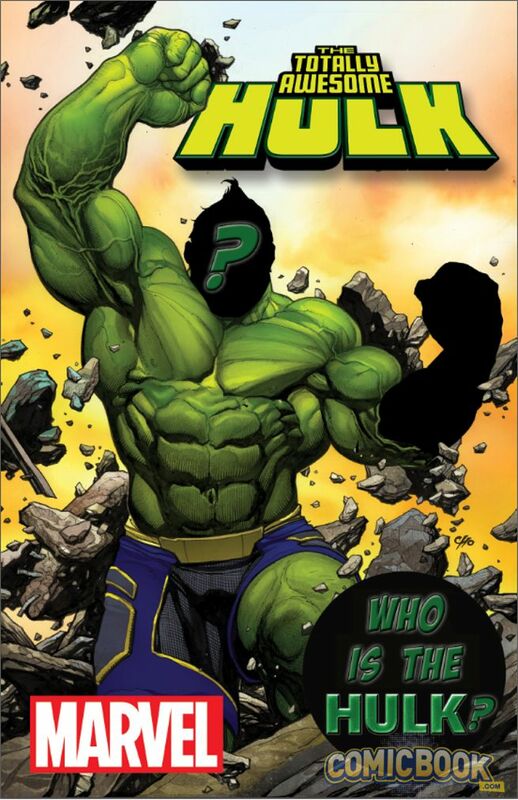 The Totally Awesome Hulk is one of the titles announced for the post-Secret Wars Marvel Universe this fall. And while traditional Hulk fans may look at the above promo artwork with apprehension if not outright disgust, there's a silver lining in the creative team. I've heard a lot of "wait and see" statements, and a few more people on my Facebook feed have sworn the new series off altogether. In case you can't tell from the above illo by Cho, the protagonist of the new series won't be Bruce Banner. 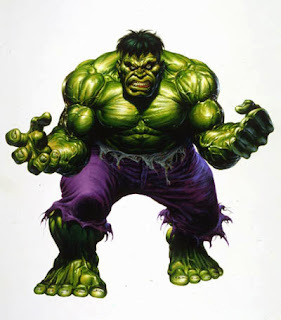 Like Loeb's series before, Totally Awesome Hulk will star a brand new gamma-powered man-monster. Unlike Banner, however, this new Hulk will revel in his new identity--which won't exactly sit well with the other heroes in the Marvel U. Part of the stated allure of the new series will be the mystery of what's happened to the original green goliath. Although certainly I can't imagine he'll be gone for long. Speculation's run rampant as to the identity of the new Hulk, although the smart money's on Pak's very own creation, Amadeus Cho, a.k.a. Mastermind Excello, who became an on-again, off-again sidekick of sorts to Banner and Hulk during his prior tenure. Adding more fuel to the fire is Pak's involvement in the currently-running Planet Hulk series as architect of the origin of the various Hulk-like characters therein. But what everyone's overlooking is the fact that one Hulk writer wanted to do something very similar before. One who certainly has earned his place among the top Hulk scribes of all time. One who also had a 5-1/2 year run on the character. [Wrapping up the Crossroads storyline] we were faced with the question, 'Okay, at the end of this, what happens?' We bring the Hulk back, it's clear we've come full circle, and more or less he's right back to where he was when I picked him up. My notion was I could go two ways: I could either bring him right back to where he was. or I was going to create an entirely new Hulk, a Hulk super-hero, who looked glorious, physically handsome, and would be a guardian of the Earth. Of course, Mantlo's mind got made up for him when John Byrne stepped forward with the desire to tell the Hulk's adventures, resulting in a whole-house creative team swap I've previously covered. Plus, well, how long could a "new Hulk" have survived in the mid-1980s? Still, it's very, very interesting we're on the cusp of a book featuring an all-new Hulk by a writer inspired by a classic Hulk writer who wanted to do something eerily similar. With this being my first post back, I'm long on inspiration but woefully short on conclusions. As Joel Hodgson used to ask regularly: "What d'you think, sirs?"